The number of views to this website has exceeded 38,0000 today. 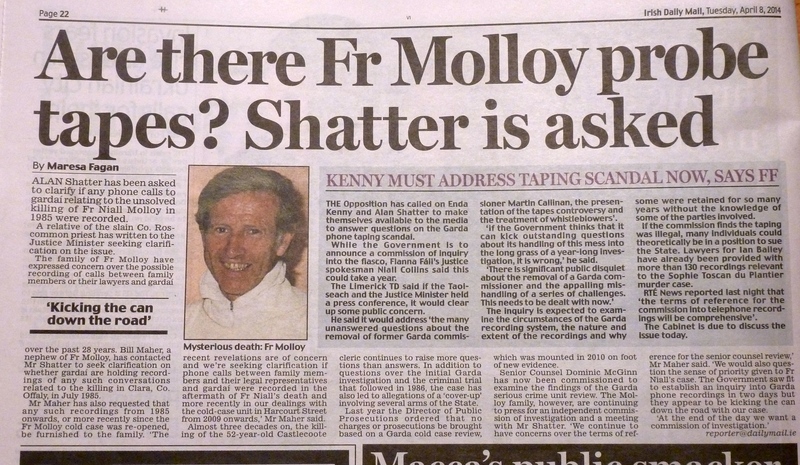 Are there Fr Molloy probe tapes ? Justice Minister Alan Shatter has been asked to clarify if phone calls to gardaí relating to the unsolved murder of Fr Niall Molloy in 1985 were recorded. The family of the Co Roscommon priest has expressed concern over the possible recording of phonecalls between family members or their legal representatives and gardaí over the past 28 years. The concerns come in the wake of an inquiry into the recording of calls to and from 26 garda stations since the 1980s. 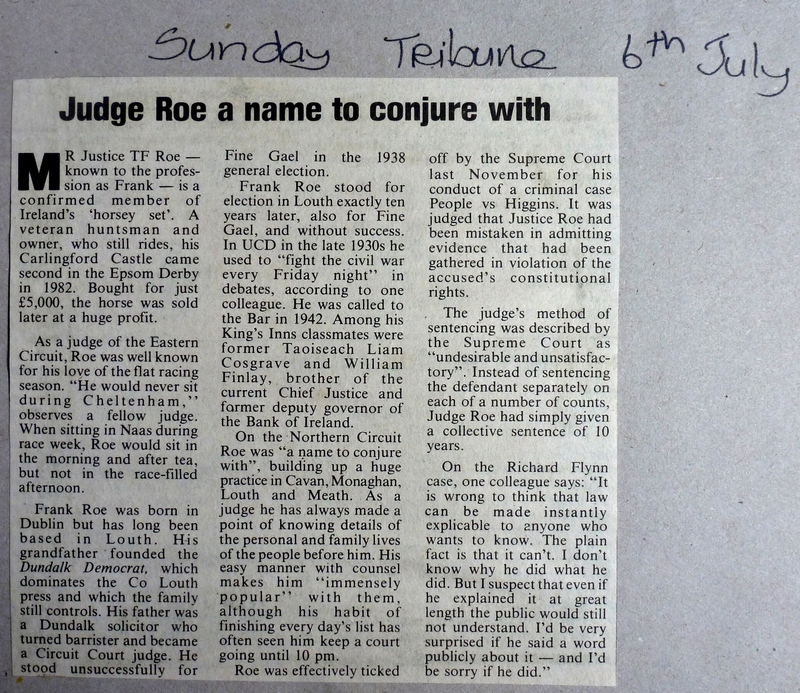 Bill Maher, a nephew of Fr Molloy, has written to Mr Shatter seeking clarification on whether gardaí have tapes of any such conversations relating to the killing of his uncle in Clara, Co Offaly in July 1985. Mr Maher also requested any recordings from 1985 on, or more recently since the Fr Molloy cold case was reopened, be given to the family. In addition to questions over the initial garda investigation and the criminal trial that followed in 1986, the case has also led to allegations of a cover-up involving several arms of the State. Last year the DPP said no charges or prosecutions would be brought after a garda cold case review in 2010. Senior counsel Dominic McGinn has now been commissioned to examine the findings of the garda serious crime unit review. However, the Molloy family are continuing to press for an independent commission of investigation and a meeting with Mr Shatter.